I love when my favorite Smiths grocery store has a special event. 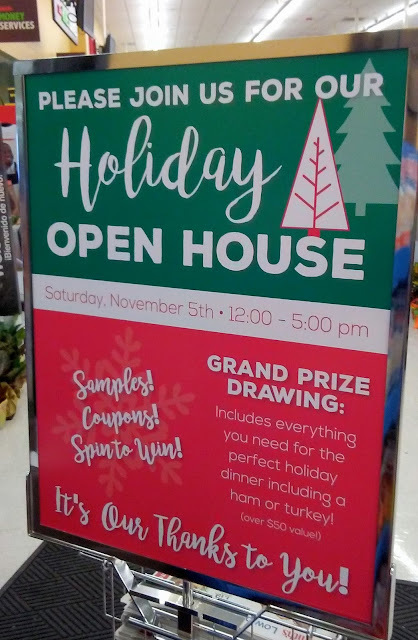 I was excited to go grocery shopping as there was a Holiday Open House happening. 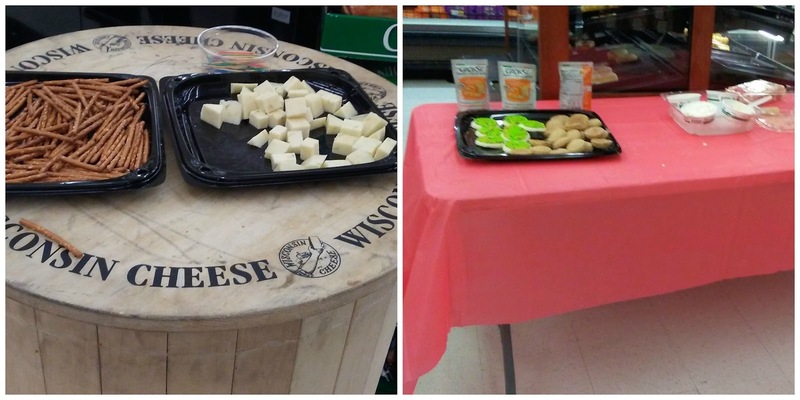 When I arrived at the store, there was a table awaiting me with samples of cake. 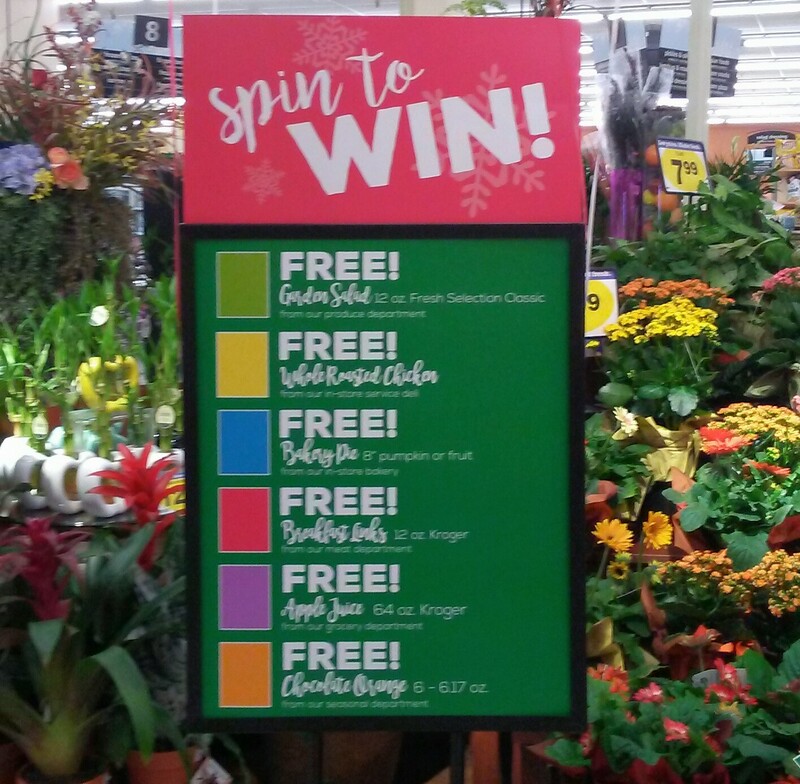 The friendly Smith's guy offered me a piece of cake and told me about their spin and win game. I received a ticket and if my number was called, I would have a chance to spin and win to win some food prizes. I could win items like a whole roasted chicken, a pie or a salad. The table with the cake also had some coupons and an entry form to win some more prizes. The grand prize was for a complete Thanksgiving dinner. I love that the coupons did not expire until the end of the year and were for items that I regularly purchase like peanut butter cheese and ice cream. I enjoyed my cake and then started my shopping. 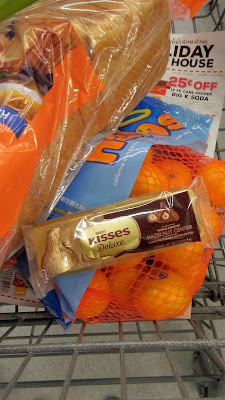 As I was shopping, I enjoyed additional samples of food. I sure love samples while I shop. 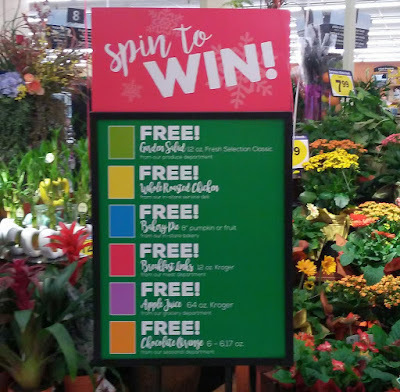 Several times during my shopping trip, someone called several numbers for the spin and win game. My number was not called, bummers, but I sure enjoyed all the samples. 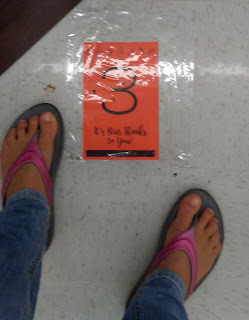 There was even a cake walk at the store that I enjoyed playing. I loved the excitement of the other customers playing the cake walk, hoping to win a cake. A little girl was the winner and she was so excited to win a cake. Do you like participating in cake walks? I finished up my shopping and even remembered to pick up my Friday Freebie. I love that I can download a coupon to my Smith's card every Friday for a free item. The item I received free this week was Chocolate and it will be Dannon Oikos Yogurt on Friday, November 11th. I love all the items that were on sale this week like eggs and Halos. The new ad comes out on Wednesday and I am sure it will be loaded with lots of great prices. To discover more about Smiths and to see what is on sale, check out their website. While you are there download some awesome coupons to your Smiths card and discover other exciting promotions that will be happening at Smiths. Did you know you can view the complete ad, the one that comes in the mail, on the Smiths website? What is your favorite item to purchase at Smiths? "These opinions are my own and I was compensated with a gift card to visit the Holiday Open House at Smiths." Smiths sounds like a great store. Don't have any of those near me though. This would be a fun store. I don't have one nearby, unfortunately. That store looks so good. I need to check this out and see if I have one nearby. 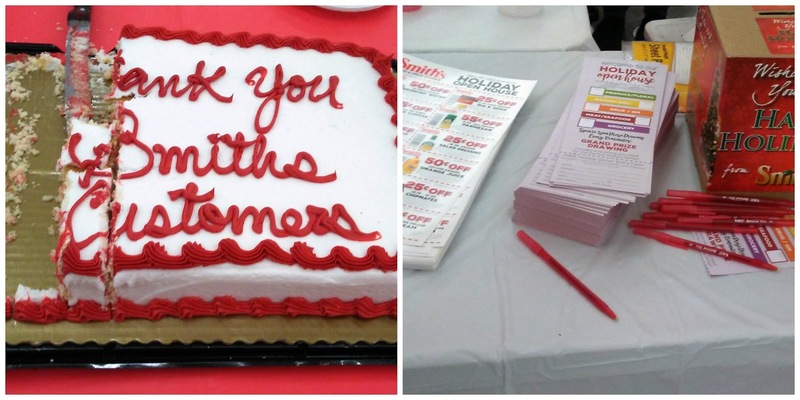 Sounds like you had a really great time at Smith's Holiday Open House! I love to try food samples too, but the stores I normally visit do not offer any cake samples :D.
This store looks like a great time! I would love to visit one for myself. This place looks great! I would love to be able to see all of the holiday items. I love the holiday season and so this event would be great. Looks like you had a great time. I wish we had something like this near me! Looks great. I'm going to have to do some research on this store, not sure if we have one nearby. Look's great though!